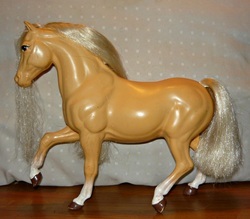 Dunit Golden-1989 Palomino Quarab stallion. 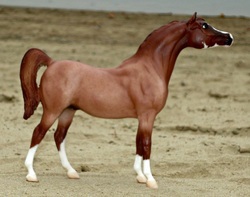 Sired by Hollywood Dun It-r (QH), out of Anastazja MBF-r (Arab). 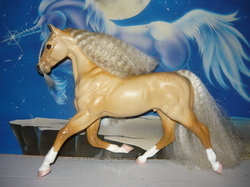 Golden Blutengel-1994 Palomino Quarab stallion. Sired by Dunit Golden, out of Tolakha (Arab). Knight of Ebon Hold-2001 red dun roan sabino Quarab. Sired by DW Ramadaa (r), out of Ebon Watcher. He is 3/4 Arabian. Knights N Diamonds-2006 chestnut roan. Sired by Knight Of Ebon Hold, out of Diamonds At The Bar (QH). 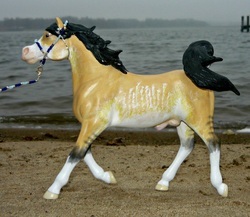 Golden Glow-2009 palomino Quarab stallion. 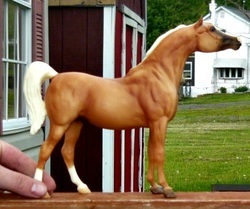 Sired by Golden Blutengel, out of KSW Queen Nibbles (Arab). 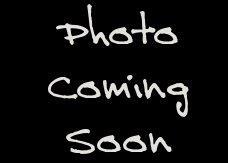 Grand Highlander-2014 dunskin rabicano/sabino. Sired by Grand Vengeance (arab), out of Highland Flowers (QH). Bred by Michele VonHagen for me.